A couple of weeks ago, I got to meet Alyssa and Jameson for their engagement session at Belmont University here in Nashville. 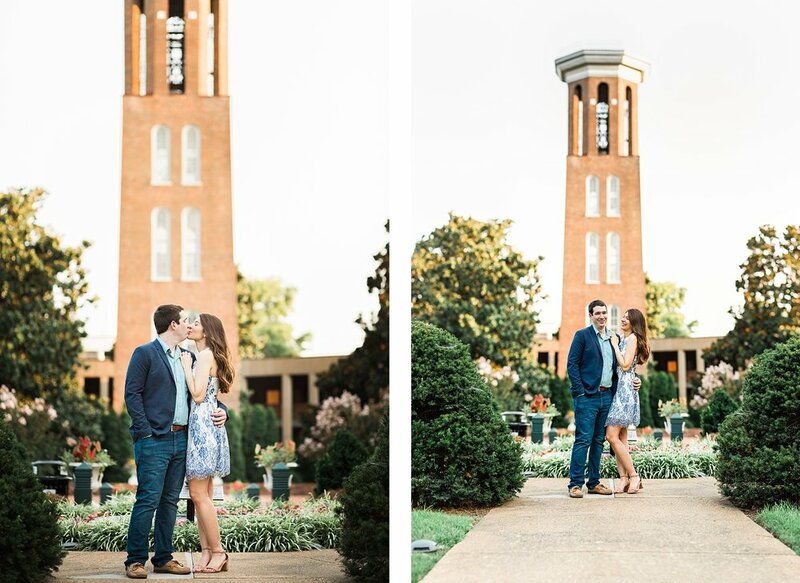 This is where they met as little baby college students, and now they're getting married! If you love beautiful people on a beautiful campus and a super sweet pup named Dudley, you'll love their Nashville engagement photos. Liz came down from Philly to visit her fiance and planned a warm, spring engagement session. 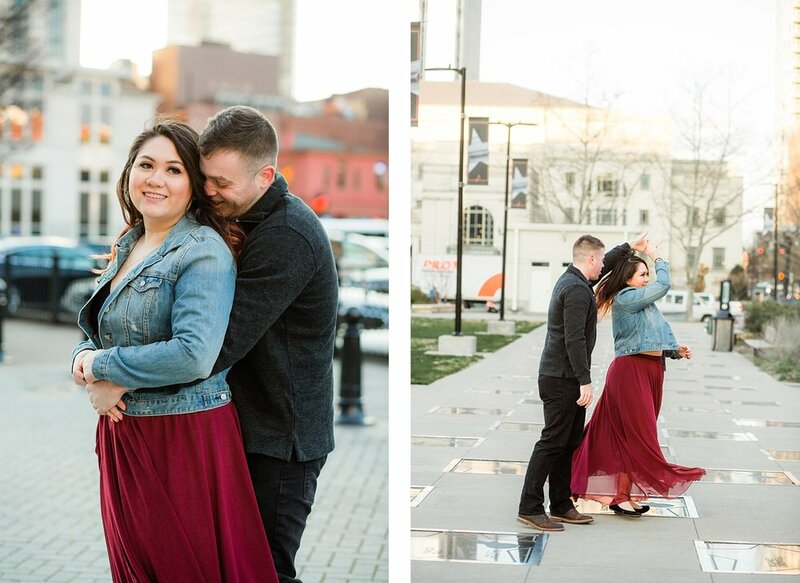 Of course, that's when it showed a bit and temperatures were in the 40s, but I think we still made the best of their downtown Nashville engagement session! I loved her flowy skirt and their easy interactions.